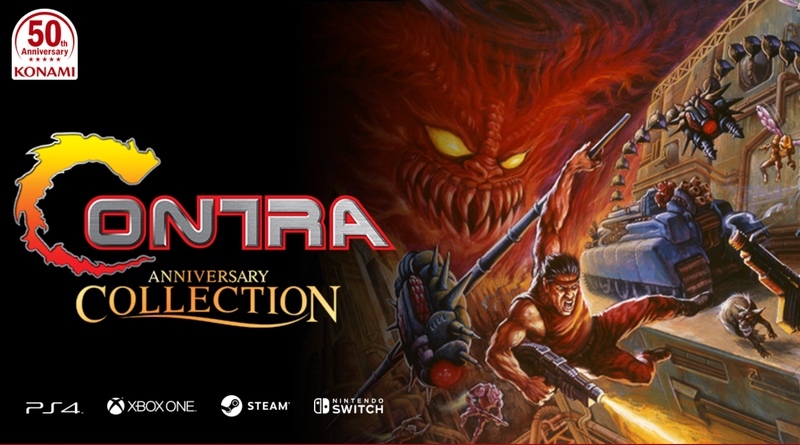 As part of Konami’s 50th anniversary, the company will be releasing the Contra Anniversary Collection for the Nintendo Switch sometime during “Early Summer 2019”. This eShop game will contain eight games. The first four announced include: Contra (Arcade), Super Contra (Arcade), Super C (NES), and Contra III: The Alien Wars (Super NES). The last four will be announced in the coming months. Also included will be a special eBook that will show off some behind the scenes stuff, like artwork and interviews. Contra fans are no doubt aware that for some reason the original NES version of Contra, arguably the best of the series, has been MIA from collections and digital services for a very long time. As of now it is not included here either, but we really hope Konami figures out a way to include it in this collection! Here’s hoping!